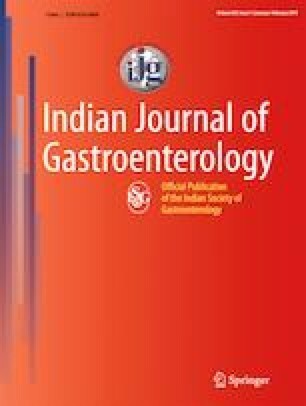 Although, ABO-incompatible (ABOi) liver transplantation is considered a high-risk procedure, using newer and more effective preoperative B cell desensitisation techniques, many transplant centres are routinely performing ABOi living donor liver transplantation (LDLT). This was a retrospective study of 12 patients (adult:pediatric = 10:2; M:F = 9:3; median age, 45.5 years [range 1 to 56 years]) who underwent ABOi LDLT at a tertiary care centre. The median model for end-stage liver disease (MELD)/pediatric end-stage liver disease (PELD) scores were 28 (range 18 to 35) and 30.5 (range 24 to 37), respectively. For desensitisation, we initially used two doses of rituximab and two sessions of plasmapheresis preoperatively. We faced high mortality in the initial seven patients (five deaths) due to overwhelming sepsis from multidrug-resistant (MDR) pathogens. Subsequently, we restricted the rituximab to one dose and performed plasmapheresis only when isoagglutinin titre value was more than 1:64. With this regimen, out of the last five patients, four did well. For the whole cohort, the incidence of antibody-mediated rejection, acute cellular rejection, biliary complications, hepatic artery thrombosis, infection, and 5-year patient survival were 16.7%, 16.7%, 16.7%, 8.3%, 75%, and 40%, respectively. The risk factors for mortality were high MELD score, O blood group, and more intense desensitisation protocol. Careful selection of patients and less intense desensitisation protocol are probably important in improving the outcomes in ABOi LDLT. The online version of this article ( https://doi.org/10.1007/s12664-019-00933-y) contains supplementary material, which is available to authorized users. SS and STS were involved in collecting data, and preparing the initial draft of the manuscript. SS, VS and UDP were involved in analysis of data and critical revision of the manuscript for intellectual content. SS, STS, SS, VS, and UDP declare that they have no conflict of interest.